One of the most admirable things about Victoria & Vincent, which sets them aside from the rest of the bridal fashion industry, is their dedication to serving brides. 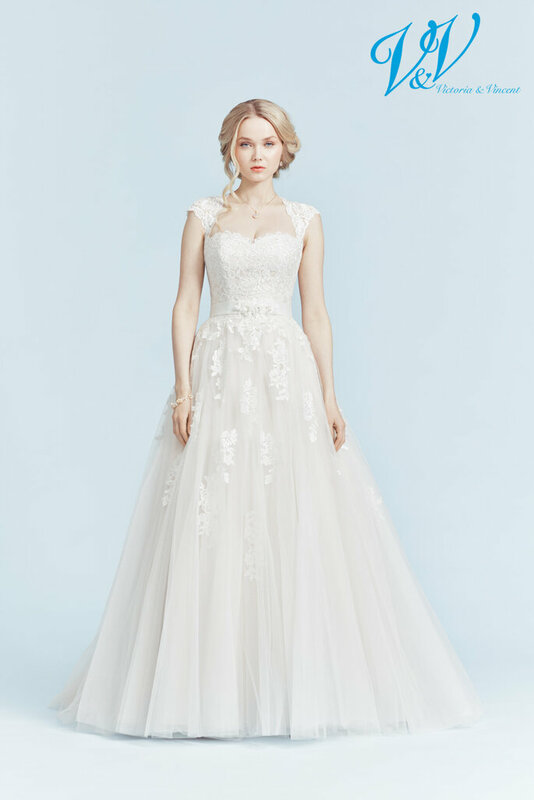 Whilst their first love is providing brides with the perfect dress to make them feel like a movie-star on their big day, their second is to make sure that she can afford it too! Proving that luxury dresses do not mandate a luxury price tag, Victoria & Vincent have dedicated themselves to creating dresses for every woman out there – investing more money into their products, and less into shouting about them in print! In this way, not only do they make beautiful wedding dresses, they also foster a sense of community and brand loyalty through spreading their message organically. Holly. Credits: Victoria & Vincent 2018. Henriikka. Credits: Victoria & Vincent 2018. Traditional, elegant and sophisticated are the three words that spring to mind upon seeing Victoria & Vincent’s designs for the first time. Being able to pick out the best features of the classic wedding dresses (and avoiding the worst – what were we doing in the 80s?!) is one skill, but being able to then incorporate and modernise them is something completely different that many designers struggle to do. However, Victoria & Vincent’s dresses are as contemporary as they come, whilst embodying the delicacy and femininity of our old favourites. 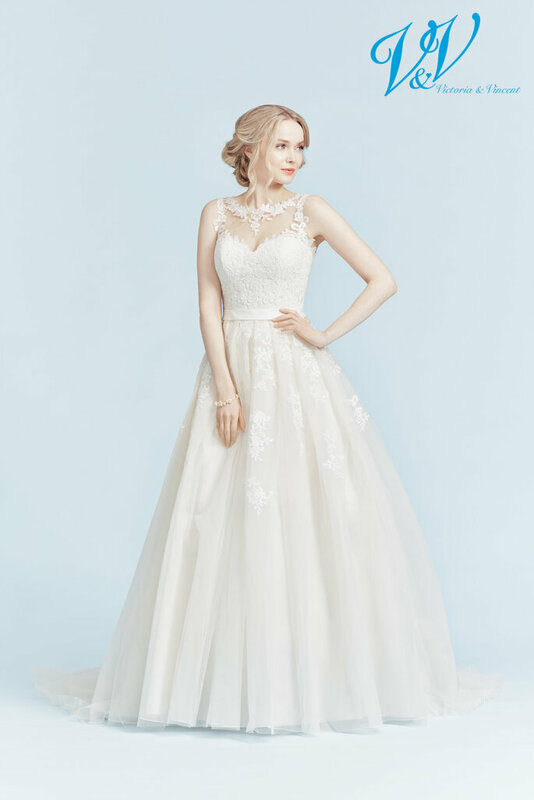 For the bride who has been dreaming of her wedding dress since she was a little girl, there is no better place to start looking! Hilma. Credits: Victoria & Vincent 2018. Hella. Credits: Victoria & Vincent 2018. 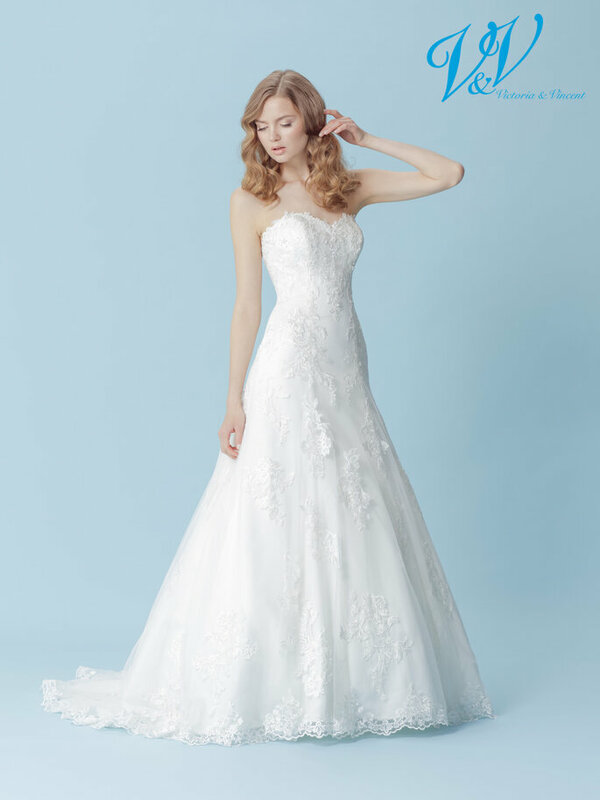 Wearing a Victoria & Vincent gown is guaranteed to make you feel like a goddess. Readily incorporating lace motifs and appliqués into their designs, whilst ensuring that the skirts are voluminous and romantic, the designers behind this label truly know how to make women feel feminine. The diversity of shapes – from A-line dresses to ballgowns – means that every woman will find something to love within their 2018 and 2019 collections, and every one of them is designed to accentuate the natural curvatures of the female form, and to accentuate her assets in a demure and unassuming way. 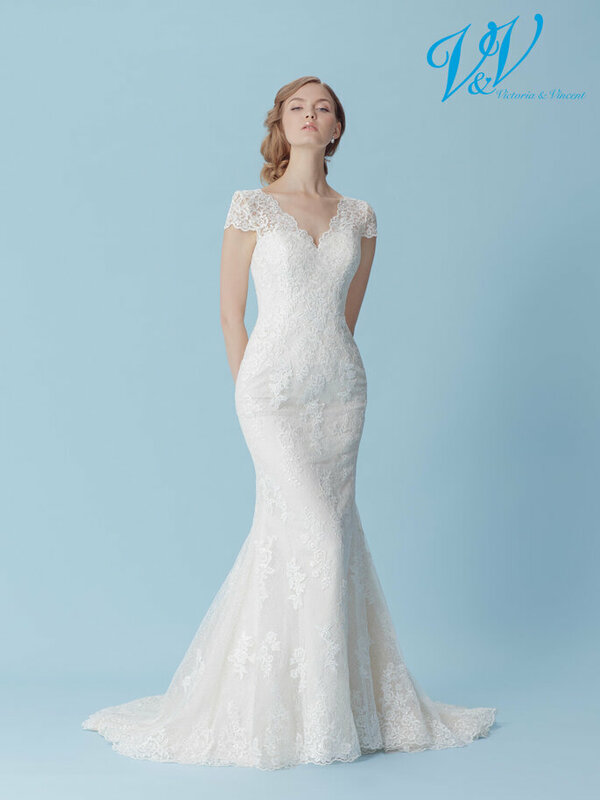 However, do not take that to mean you won’t stand out – Victoria & Vincent gowns balance the line between classy and striking in all the right ways! Janina. Credits: Victoria & Vincent 2019. Johanna. Credits: Victoria & Vincent 2019. Julia. Credits: Victoria & Vincent 2019. 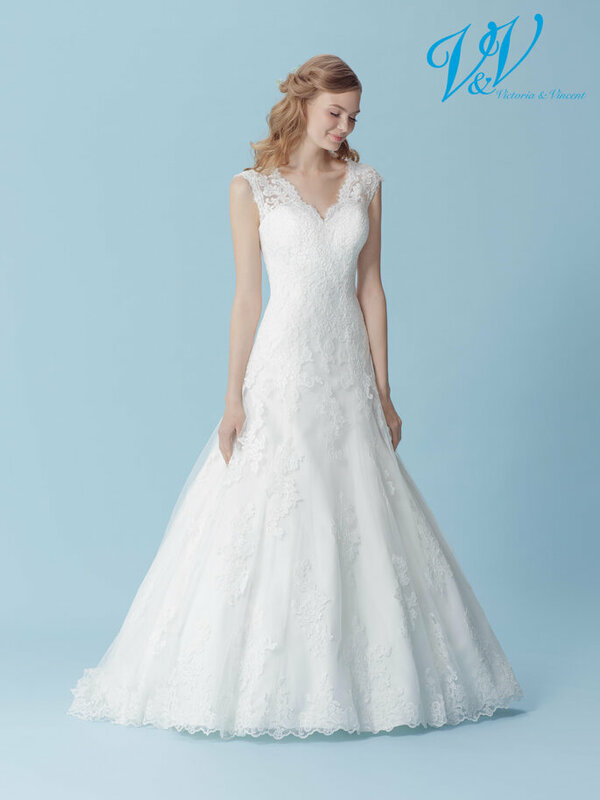 And the sneak peek at the 2019 collection from Victoria & Vincent only goes to show the true quality of the dresses available. 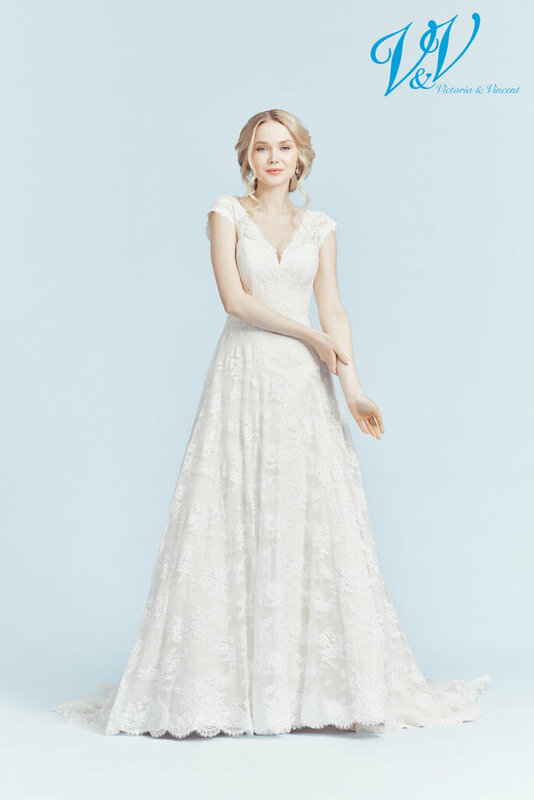 Allover lace is used to stunning effect in the above gown, and we just love the chiffon sleeves in the dress that proceeds it – long sleeves are decidedly in for 2019, and those used for this dress make it perfect for bohemian brides, and for women looking for that alternative spin on tradition. The A-line silhouette – chosen for its adaptability to all shapes and sizes – is a popular choice from the designer for the upcoming season, but that doesn’t mean a lack of flair or drama. Layered tulle makes for large skirts, all of which are guaranteed to make you feel like a princess on your big day. 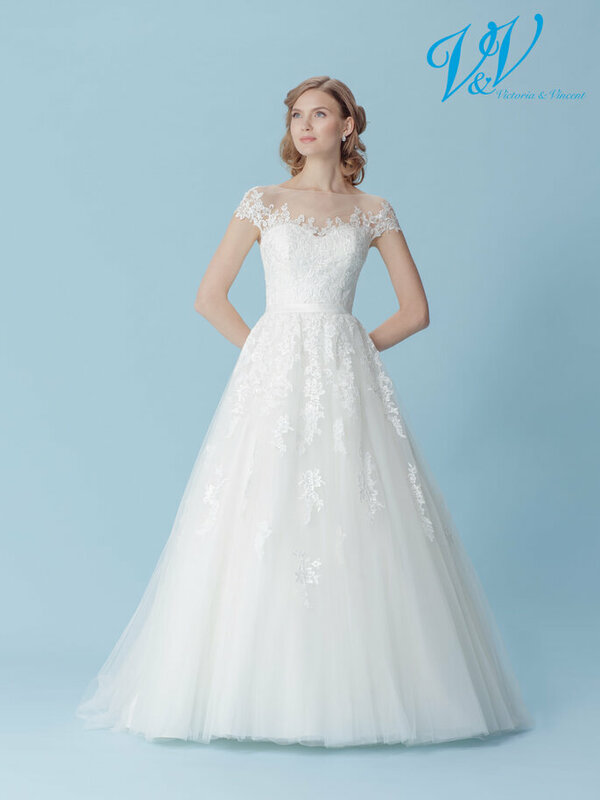 And with this much floral appliqué, we can’t imagine you could feel like anything less! Josephine. Credits: Victoria & Vincent 2019. Joleen. Credits: Victoria & Vincent 2019. For brides out there looking for a more traditional look with a signature modern twist, then Victoria & Vincent comes highly recommended by Zankyou as the number one place to start. For all the women out there who watched Beauty & the Beast, Cinderella, and Sleeping Beauty as little girls, and dreamed of one day getting to wear a dress as feminine, fancy and utterly fabulous as those in the movies, then this is the place to look. And with their very rare dedication to keeping retail prices affordable for women on all budgets, we not only like Victoria & Vincent’s dresses, but their ethos too. For a dependable retailer, who will most certainly be able to provide you with a magnificent wedding dress for your big day, then try out the homegrown Victoria & Vincent, and fall in love today!